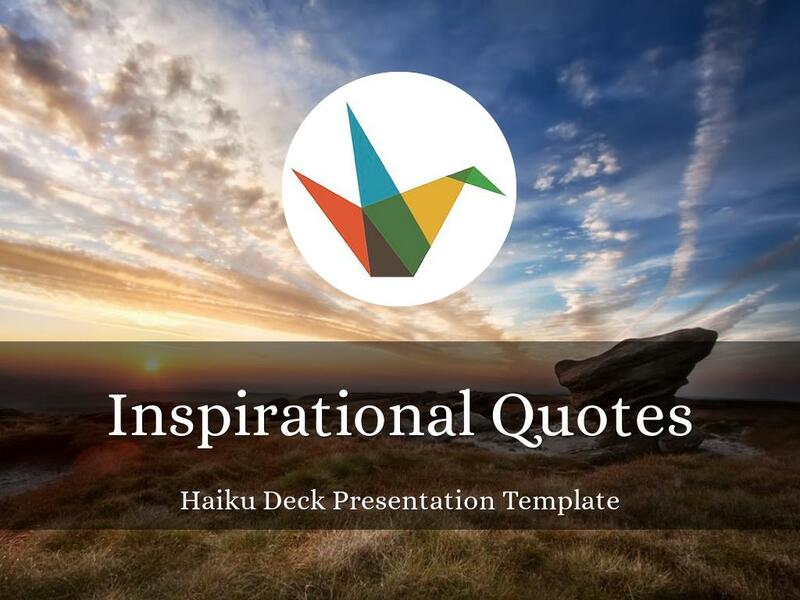 This Haiku Deck "How To" presentation template was created using the Picaresque theme, image filters on. 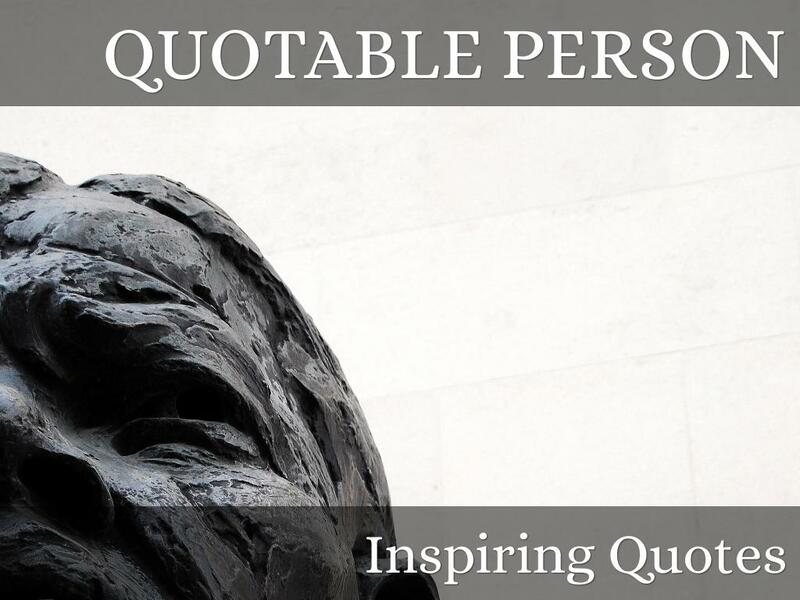 Simple, beautiful, flexible presentation template to share a collection of inspirational quotes. 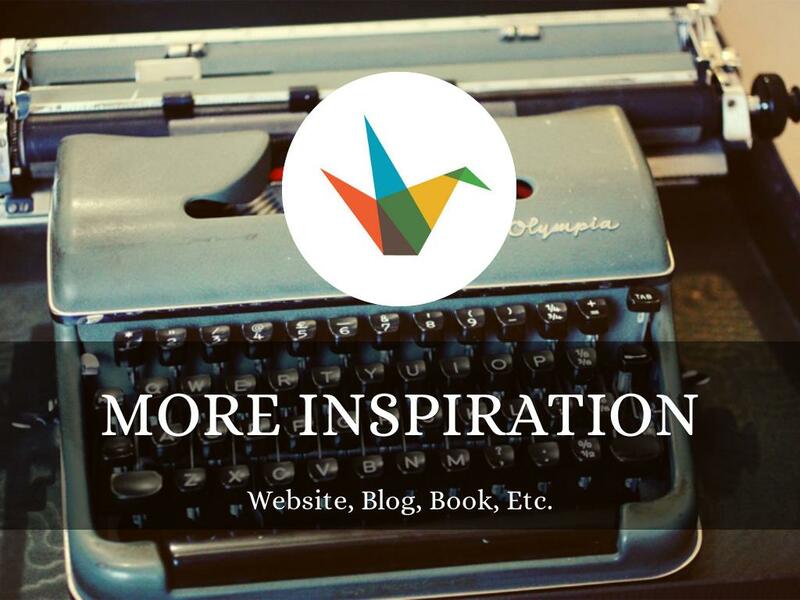 Ideas: embed in blog or website, upload to Slideshare, pin individual slides to Pinterest. For short quotes, the standard two-line format works perfectly. 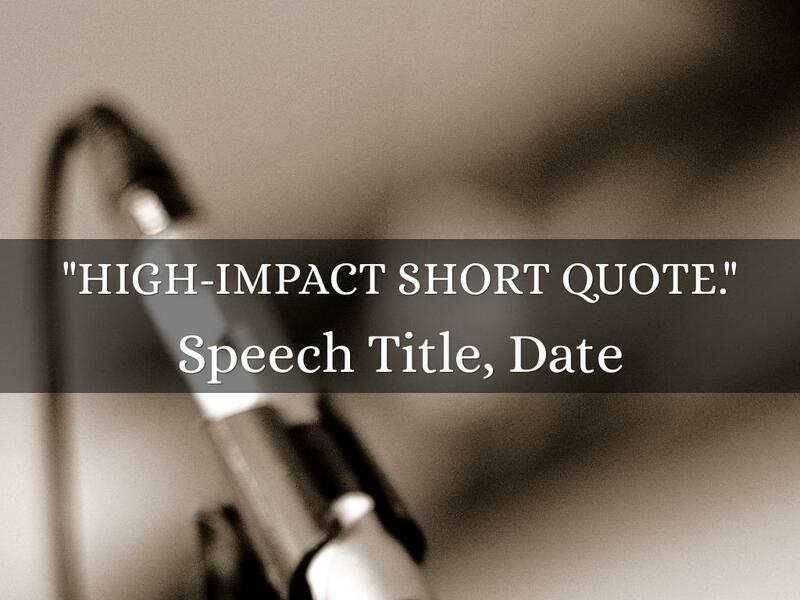 You can either stretch the quote across the two lines, or use the first line for the quote and the second line for the speech title or the date. "Medium inspiring quote, perhaps 10 to 12 words long." 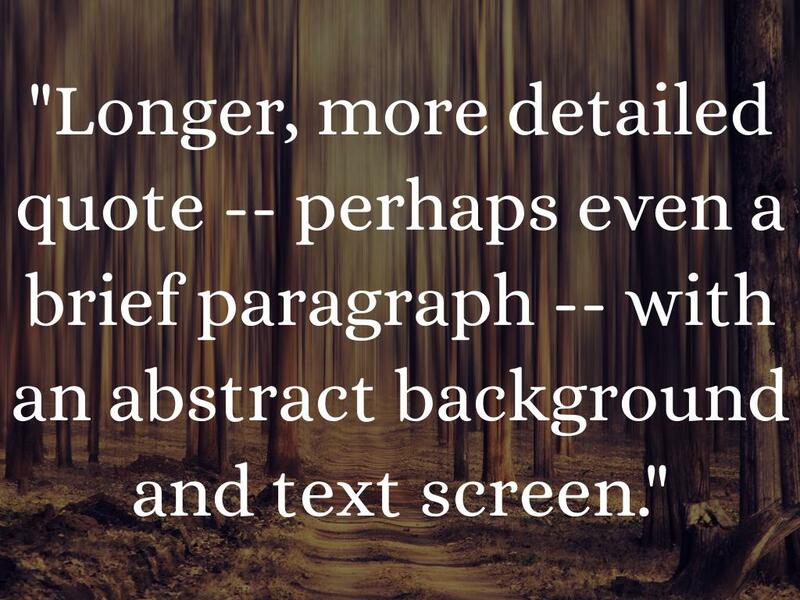 "Longer, more detailed quote -- perhaps even a brief paragraph -- with an abstract background and text screen." 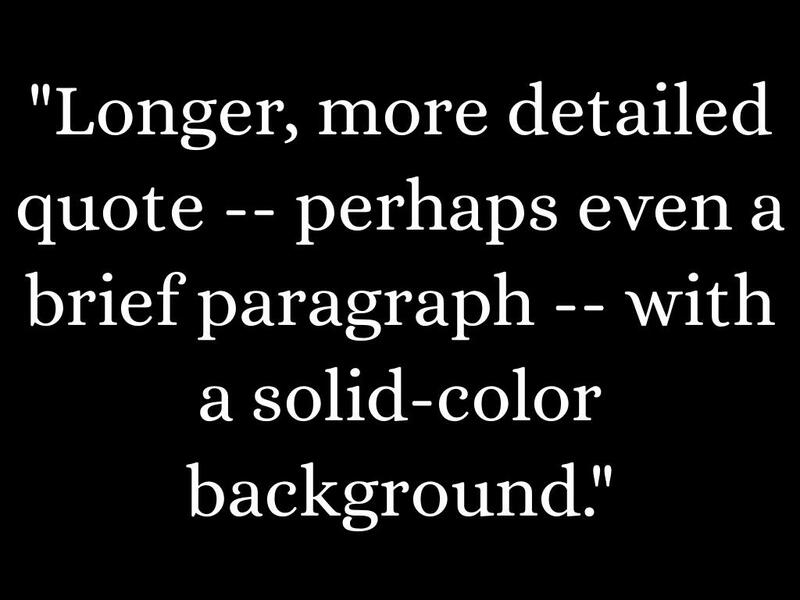 "Longer, more detailed quote -- perhaps even a brief paragraph -- with a solid-color background." ...or a solid-color background, like this. 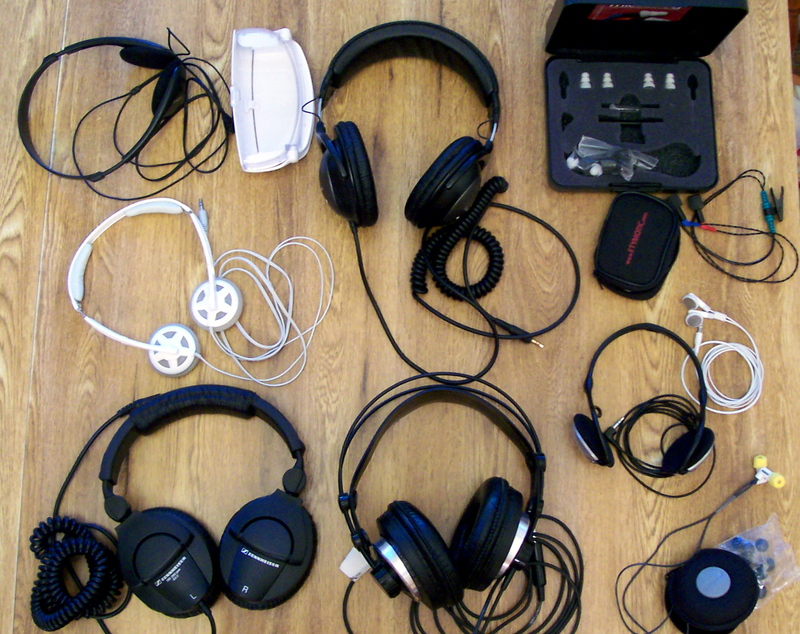 You can close with a recommendation for more information or inspiration, including more detail and links in the Notes if needed. 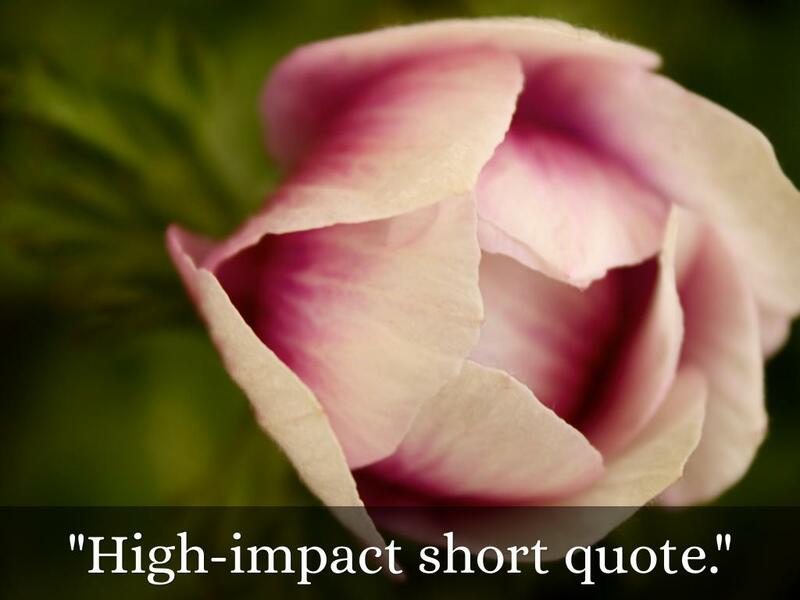 Have a great example of a Haiku Deck collection of inspirational quotes? Be sure to share it with us at gallery@haikudeck.com!